I bought a first air purifier (Xiaomi Mi Air Purifier 2S) for my child's room. He has not been sick since! 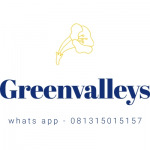 I have ordered others since ... And GreenValleys is top in contact and delivery! Top Service! SODA MACHINE--Vikki Allan-- We are absolutely loving ours , highly recommend to anyone thinking of purchasing.